In an earlier version, Distortion was a liquid resume that brewer Andrew Skipp provided as part of his interview with Otherside. Given Skipp got the job, the beer must have made quite the impression and now the beer has made its way from homebrew to commercial release. 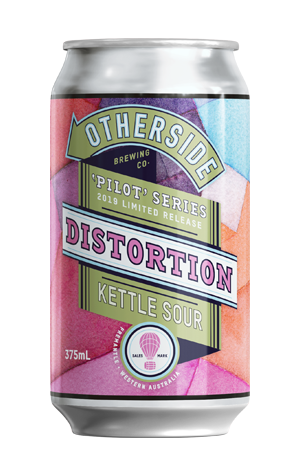 Part of their Pilot Series of beers, Distortion is a dry-hopped kettle sour with the emphasis very much on the dry hop. “It’s actually the biggest dry hop we’ve ever done,” says brewer Rhys Lopez. The beer pours a hazy pale gold, there’s an upfront zingy citrus acidity with fresh stone fruit bulking it out and a dry finish that brings you back for more. Good on ya, Skipp.